Joe Scarborough and Mika Brzezinski are engaged. The news puts an end to years of speculation about a romance between the MSNBC co-hosts. The couple confirmed it in an interview with Vanity Fair published Thursday. They made no mention of the engagement on their show, "Morning Joe," on Thursday. But several of the show's guests congratulated them -- for recent "ratings" wins. Scarborough and Brzezinski have been sitting together on the set of "Morning Joe" for 10 years. Almost the entire time, gossip has swirled off-set and online about whether the two are more than just colleagues. 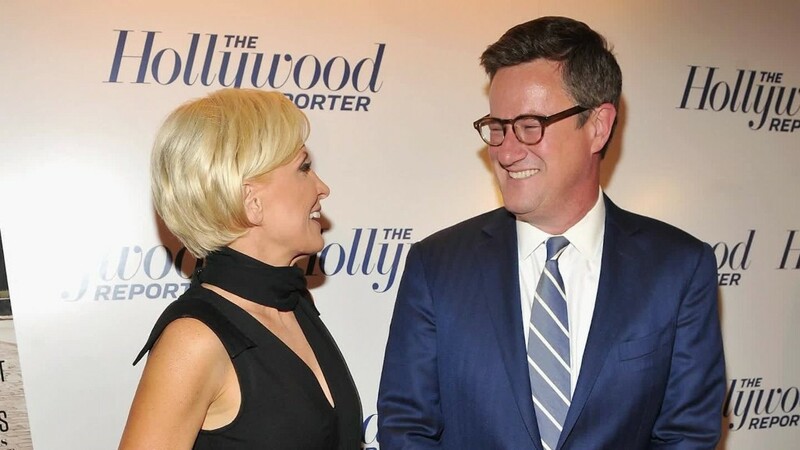 For years, Scarborough and Brzezinski dismissed that chatter and said they were just friends. Scarborough was divorced in 2013. Brzezinski was divorced in 2016. Earlier this year the couple dropped hints about their relationship. "We have a crackling on-air chemistry, and a crackling off-air chemistry, too," Scarborough told The Hollywood Reporter. The proposal happened at the Hotel du Cap in Antibes, France, the couple told Vanity Fair. It came as a surprise to Brzezinski. "When I saw him on one knee, I started laughing nervously, almost hysterically," she told the magazine. "And then he asked, and I said, 'Absolutely.'" Winks and nudges about the relationship have been practically a part of "Morning Joe." The New York Post's Page Six column, which has written about the relationship for years, broke the engagement news on Thursday morning. A source told Page Six's Emily Smith that "there are no wedding plans as of yet, they are just telling their families the happy news." But Scarborough did tell Vanity Fair that in January, before they were engaged, both then-President Elect Donald Trump and his son-in-law and adviser Jared Kushner offered to officiate any wedding. Asked for her thoughts on that, Brzezinski told the magazine, "The mental picture is just fascinating, but the reality is just . . . no. No, no, no, no, no." --CNNMoney's Dylan Byers contributed to this report.